If you’re a longtime listener of Self-Publishing Roundtable or you’re a part of the Sci-Fi & Fantasy indie writing community then the name Lindsay Buroker will be familiar to you. Lindsay published her first fantasy novel back in 2011 and never looked back! Up until the past couple of years her writing genre of choice has been predominately Fantasy–with romantic elements. In October 2014 Lindsay dipped her toe into science fiction romance under the pen name Ruby Lionsdrake before returning to her name to publish an eight novel science fiction series. So far she has an impressive 10 series under her belt but what is even more interesting is that each time she launches something new her audience expands in leaps and bounds. So, of course we wanted her (back) on the show to pick her brain about her latest series: Fallen Empire. Lindsay Buroker is a full-time independent fantasy author who loves travel, hiking, tennis, and vizslas. 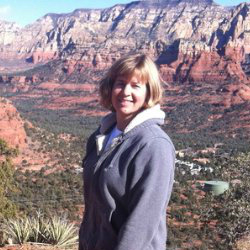 She grew up in the Seattle area but moved to Arizona when she realized she was solar-powered. Lindsay is the host of the Science Fiction & Fantasy Marketing Podcast and was a former host here at the Self-Publishing Roundtable. Please tell the audience a little about yourself and your fantasy and sci fi series. Why the move to science fiction? Was this a move to market? 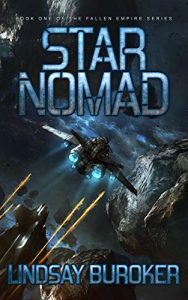 What was your launch strategy for your Star Nomad, your first book in the Fallen Empire series? Why did you decide to put them into Kindle Select? Why is the first in the Fallen Empire series $0.99 as opposed to permafree? What made you decide on a $3.99 price point for your novels? 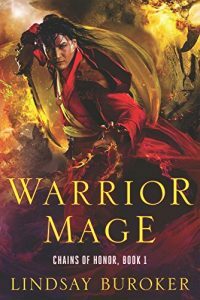 What are your review strategies for getting over 100 reviews per book? How do you use your mailing list? any interesting trope violations or things done differently from the current crop of space opera? You’ve said your first drafts for Fallen Empire can take approximately two weeks to write. What is your writing schedule like? Inquiring minds want to know: Plot or Pants (or totally Pantless)? What are the essential elements in building an effective launch if you are starting out? Why 8 books for this series? Do those change as you have a larger email list and larger platform? Do you still have the karaoke blackmail footage from the Smarter Artist Summit? For most of this year you’ve published only Fallen Empire books. Do you usually focus on one series at a time or have you ever mixed it up? You have your own podcast… what was the best tip or technique you have copied from another author? What inspired you to write the Fallen Empire series? More books = best advertising is one of my key takeaways. Good to hear it again. Good interview! @BatmanErica @ChristopherHawkins No joke, that cyborg is legit selling the series for me. Or there are those of us who discover the Kingkiller Chronicles and now have a cramp in our foot from tapping it for so long... after our watches have given up the ghost. @tspaulauthor A frog, no a toad, no a frog! *gasp* IT MUST BE MINE! 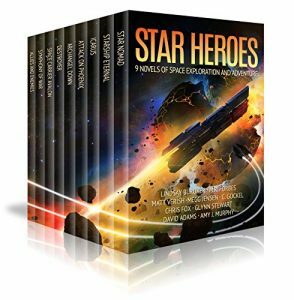 I have a question - Lindsay mentioned that the series isn't written to market - any interesting trope violations or things done differently from the current crop of space opera? Lindsay, do yu segment your mailing list? If so, how do you break it apart? @WayneStinnett Now, see, I would used a sledgehammer. But that's just me. @CateMorgan @ChrishaunKellerHanna @WayneStinnett there's no such thing! Or, in Lindsey's case, unsuspecting chickens! YAY, LINDSEY! I love it when she visits! Please post your questions for Lindsay here.